(VEN) - The Danish Embassy in Vietnam recently held a workshop in Hanoi to launch a report on Firm-level Competitiveness and Technology in Vietnam: Evidence from a Survey in 2012. Danish Ambassador to Vietnam John Nielsen said that Denmark was promoting technology transfers to Vietnam in fields such as water supply and drainage and environmental pollution treatment to help Vietnamese businesses implement green growth goals. Sharing the role of green growth in economic development, Ambassador John Nielsen said that three or four decades ago, Denmark had to cope with an energy crisis and the Danish economy was heavily dependent on oil resources. At that time, however, oil prices rapidly increased and Denmark was financially unable to afford high oil prices. Since then, Denmark had paid special attention to promoting scientific research and applying research results in production. The Danish government applied policies which offered businesses preferences and encouraged them to apply new technologies to promote green growth and minimize the use of energy resources, thus increasing productivity and competitiveness in the international market. Denmark had also approved laws which offered support to new modes of industrial development and taken measures such as reducing fees or taxes to encourage investment in this field. Vietnam and Denmark share many similarities in terms of climate change and environment. Vietnam is actively promoting economic development in the direction of green growth. However, due to a range of barriers, this activity remains weak. 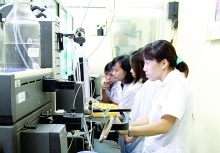 The report was made based on the results of a survey of 8,000 Vietnamese companies, indicating that while a large number of businesses invested in promoting research and development (R&D), just a small number of businesses invested in developing new products and a larger number of businesses were engaged in technological innovation. Capital shortages are the biggest barrier hindering business investment in technology. Therefore, the report suggested that policy makers should continue to support foreign direct investment and require foreign investors to transfer technologies to Vietnamese businesses while at the same time encouraging technology exchanges among domestic businesses. Output effectiveness will be higher if domestic businesses acquire existing technologies instead of concentrating on developing new, expensive technologies through costly R&D projects. Ambassador John Nielsen said that Danish businesses were currently interested in developing economic and trading relations with Vietnam, focusing on technological support projects helping Vietnam cope with climate change and promote green growth. Over the last seven years, Denmark has developed a program which helped Vietnamese businesses enhance their competitiveness. Specifically, Denmark has provided Vietnam with assistance in the field of technological innovation to facilitate Vietnam’s access to export markets. Most recently, in September, the Ho Chi Minh City Energy Conservation Center (ECC HCMC) signed a memorandum of understanding with Kærsgaaed Andersen (KAAI), a Danish architects, and the University College of Northern Denmark (UCN) to promote cooperation and technology transfer in the field of energy efficiency. “Successful results of products such as US/VIE 93-058, improving seafood quality and promoting seafood exports (SEAQIP 1, SEAQIP 2), assisting seafood businesses’ innovation and development (SIRED), and other components of the Fisheries Sector Program Support (FSPS I and II) have encouraged Danish businesses to further help Vietnamese businesses promote green growth,” said Ambassador John Nielsen./.